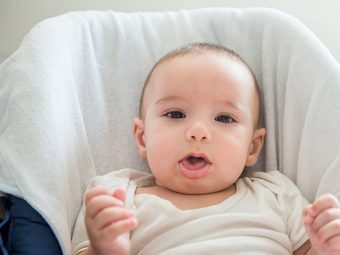 What Causes Bronchiolitis In Toddlers? If your child struggles to breathe and becomes irritable due to cough and mucus secretion, seek immediate medical attention. He may be suffering from a bronchiolitis attack. As a parent, you are always trying to keep your child in the best of health. 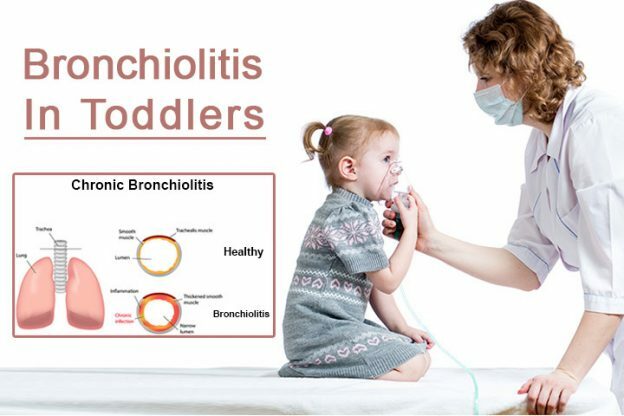 But young children being prone to infections, they are bound to fall ill. Read our post and get the answers to your questions regarding bronchiolitis in your toddler. Bronchiolitis is an infection found in the respiratory tract. Bronchiolitis is a viral disease that affects the bronchioles, little air passages, in your little one’s lungs. During such infections, the bronchioles swell up and hinder the flow of oxygen to the lungs. Bronchiolitis is most common among young children, who are below two-years-old. Typically, it happens to babies who are six months old. Winters and early spring are common seasons when your little one can contract the infection. A mild attack of bronchiolitis may last only for a day or so. But in worst cases it may last up to five to twelve days where the first three days are the most critical for your toddler. You must look out for more serious signs and symptoms to ring the alarm. 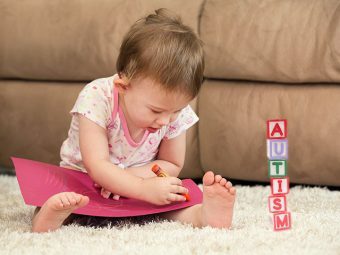 Understanding the causes, symptoms and treatment will help you take care of your toddler better. It actually starts when your toddler catches a cold, suffers from flu or even sinus infection. The virus that causes these problems can actually be spread to your bronchi and stay there. Once they actually hold up there they cause inflammation, swelling and even block the passages with mucus. Bronchiolitis is when mucus gets filled in the air passage. It is caused by viral infection. Due to the lack of oxygen, your toddler’s skin may appear bluish in colour. In medical terms, it is cyanosis. Apnea is a serious sleep disorder that occurs due to abnormal breathing patterns. It is a common symptom of bronchiolitis. Usually, if your toddler has mild symptoms, you may not need to seek medical advice. You may simply look after them at home. Remember, if your baby shows any of the above-discussed symptoms, contact your general physician as soon as you can. You must not ignore any of the signs and symptoms, especially if your baby is less than 12 weeks of age. If your toddler faces severe breathing difficulties. If your toddler breathes rapidly and at a faster rate than 60 breaths per minute. If your toddler’s breathing stops for a long time. If your toddler’s skin starts turning pale. If the tongue starts turning blue or pale. If you find it difficult to wake your toddler up from his sleep. If you notice any of the above signs in your toddler suffering from bronchiolitis, seek immediate medical help. 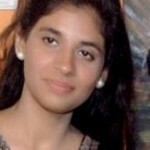 Caused By Bacteria: A general antibiotic course will cure the problem. Caused By Virus: It generally takes around 10 days for the condition to improve. Give lots of fluids and water to your toddler to relieve his congestion in the respiratory tract and avoid dehydration. Do not give cough suppressant. It is important for your toddler to cough out the mucus. Give honey to soothe throat and relive cough but only if your toddler is over one year, as else it can lead to food poisoning. Use a humidifier to help your toddler breathe better. 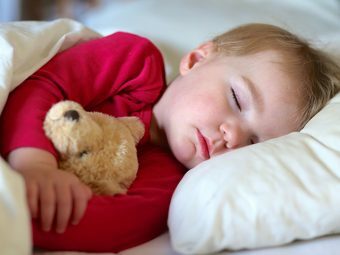 Get your toddler to rest plenty. You may also try nasal drops to relieve congestion and ease out breathing. Breastfeed your little one frequently so that he doesn’t develop weakness in the body and his immune system can fight back with the infection. You must immediately seek medical help if any of the symptoms worsen. On an average, it takes about 12 days for bronchiolitis to cure completely. This illness touches its peak mostly on the 2ndand 3rd day and gradually starts improving thereafter. The time between getting infected and symptoms showing up may vary between days to up to a week. It is best advised to prevent bronchiolitis in your toddler as much as you can. Encourage him to wash hands often and keep them away from the members who smoke. Keep your toddler’s utensils separately so that microbes and germs don’t spread. Often, cigarette smoke is found to be one of the prime causes of toddler bronchiolitis. Bronchiolitis is totally treatable if looked after well and treated well on time. So do not panic and seek help at the right time. Did your little munchkin ever suffer from bronchiolitis? How did you deal with it? Do you have any tips for mommies in similar situations? Tell us your two cents and help other mommies. Leave a comment below. 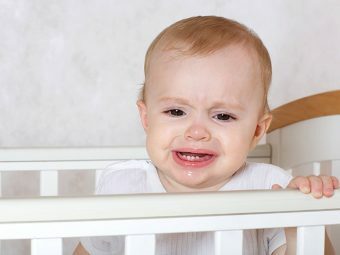 How To Handle 'Teeth Grinding' In Babies And Toddlers?